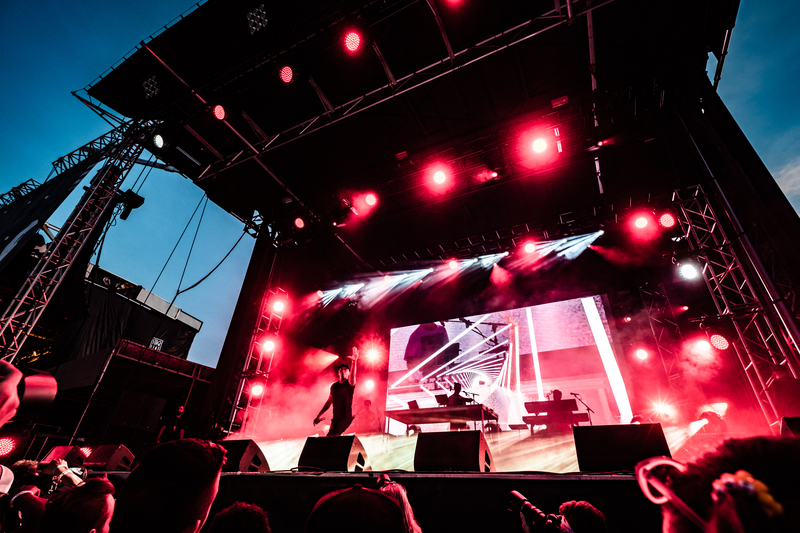 SAINT PAUL, Minn—Slamhammer recently deployed a Martin by HARMAN Professional Solutions lighting solution at Soundset Music Festival for performances by Logic, Migos, Wu-Tang Clan and more. Hosted by Rhymesayers Entertainment, Soundset is the premier rap and hip-hop festival in Minnesota. Featuring live music, breakdancing, street art and skateboarding, Soundset is an all-day event that takes place on the Minnesota State Fairgrounds and averages 30,000 guests annually. With performances from over 50 artists across five stages, Soundset wanted to make their 11th year bigger and better than ever. 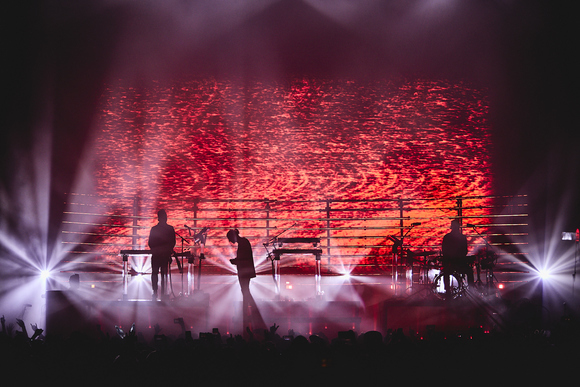 In order to provide legendary lighting for some of the most popular artists in the world, Soundset hired Slamhammer to help select a set of fixtures capable cutting through the sunlight, enduring through the rain, and creating dazzling lighting displays in the dark. Slamhammer assembled a world-class Martin lighting solution that allowed for quick deployment and versatile lighting options on both stages. Slamhammer deployed mirrored lighting rigs on both main stages with MAC Quantum Wash fixtures downstage, MAC Quantum Wash and MAC Viper Profile, and Atomic 3000 fixtures mid-stage, and MAC Axiom Hybrid and MAC Quantum Wash and MAC Viper Profile fixtures upstage. Slamhammer also deployed MAC Aura and Quantum Profile fixtures on the Atmosphere & Friends Stage. The MAC series fixtures pack a surprisingly powerful punch into a small package. Featuring LED bulbs powerful enough to compete with high-intensity discharge lamps, the MAC series fixtures are designed to consume less power and generate less heat than traditional fixtures. 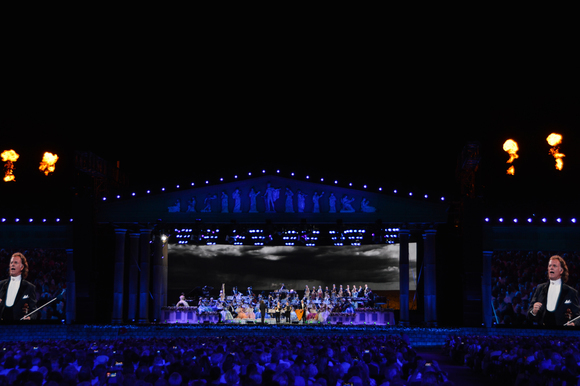 Most importantly, they provide a wide assortment of dynamic lighting effects versatile enough to meet the needs of multiple lighting designers during a busy festival. Soundset Festival celebrated their 11th with performers, crew and guests from all over the US and the world—including Australia, Brazil, Canada, Germany, India, Mexico, Norway, New Zealand, Philippines, Poland, Switzerland, Taiwan, United Kingdom, and more.